Activity at Kīlauea Volcano on the Big Island of Hawai’i has recently increased. 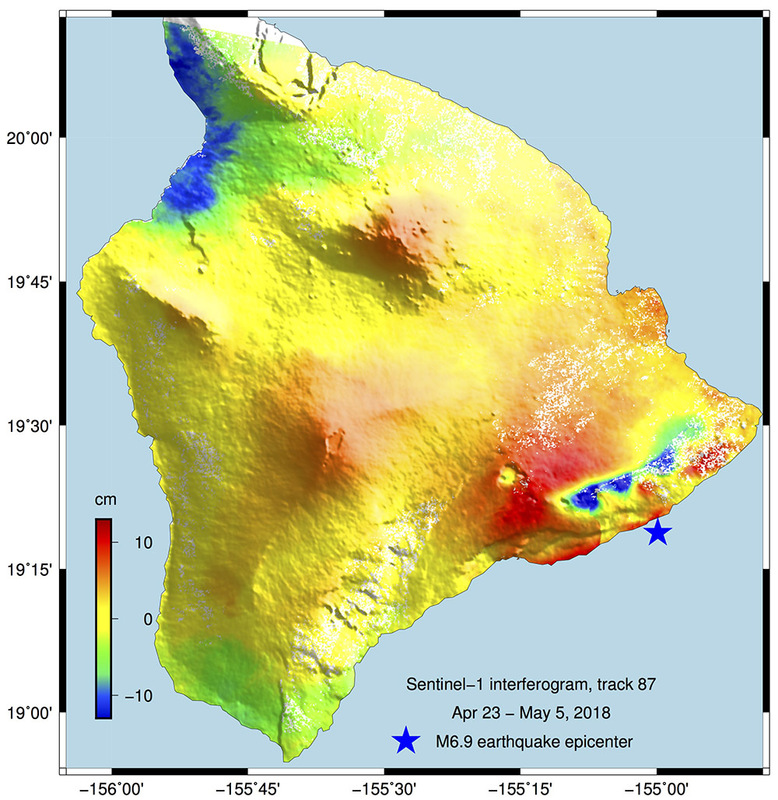 Starting on Monday, April 30, 2018, magma beneath Pu‘u ‘Ō‘ō drained and triggered a collapse of the crater floor. 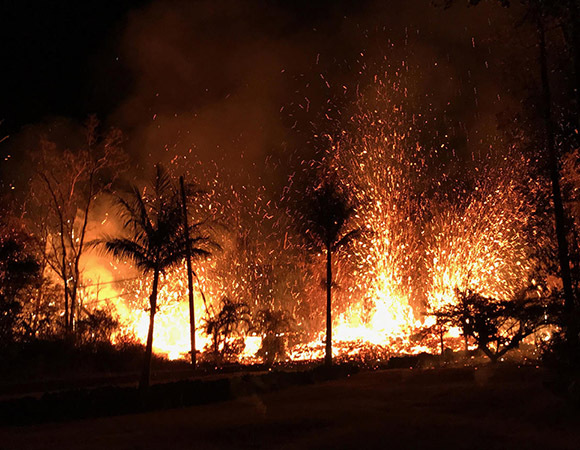 Within hours, earthquakes began migrating east of Pu‘u ‘Ō‘ō, signaling an intrusion of magma along the middle and lower East Rift Zone. 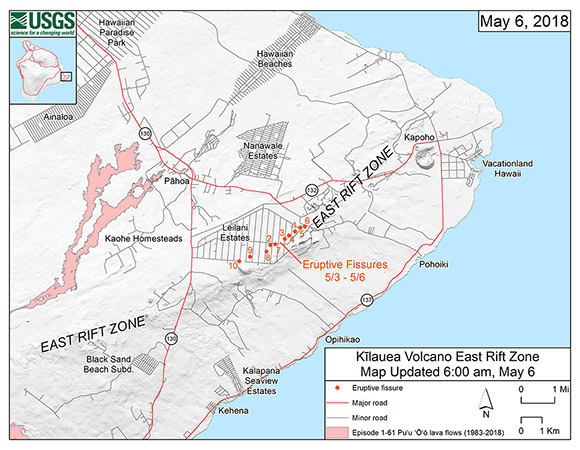 A new eruption commenced in the Leilani Estates subdivision in the lower East Rift Zone on May 3, 2018, following days of increased earthquake activity and ground deformation. 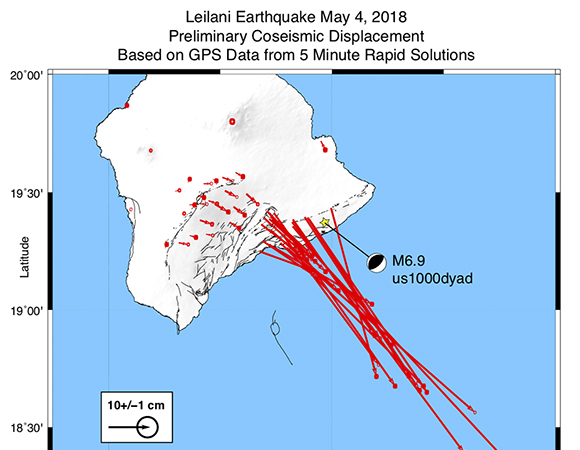 A magnitude 6.9 earthquake occurred on Friday, May 4, 2018, 16 km southwest of Leilani Estates and at a depth of 5.0 km. 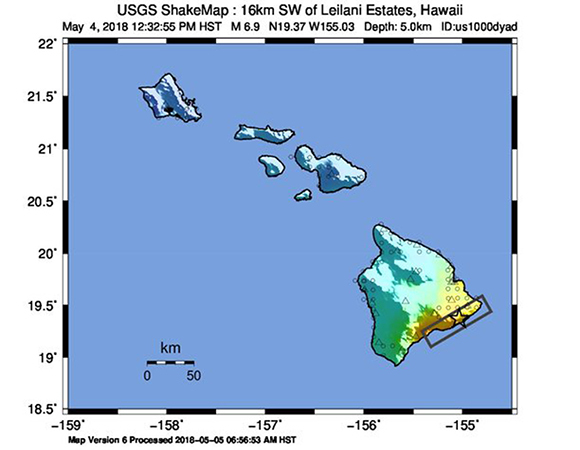 This is the strongest quake in Hawai’i since 1975, and the largest in a series of strong earthquakes. For more information, USGS Hawaiian Volcano Observatory, Kīlauea and USGS event page. 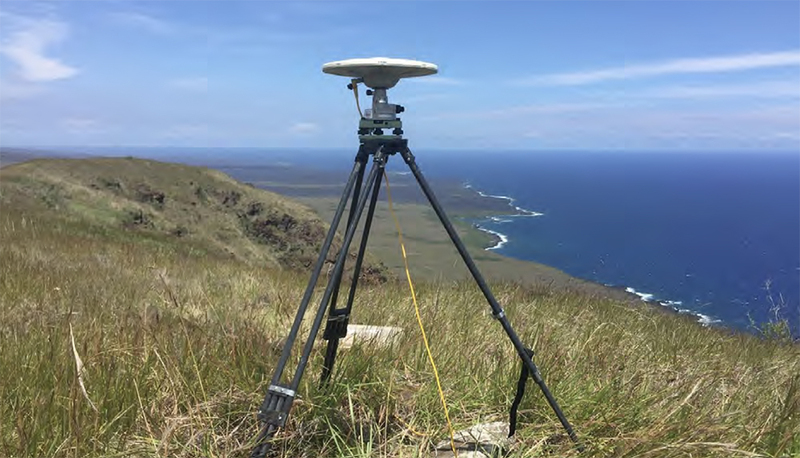 UNAVCO provided 15 campaign GPS/GNSS systems for deployment on Kīlauea Volcano and engineering support to USGS/HVO. 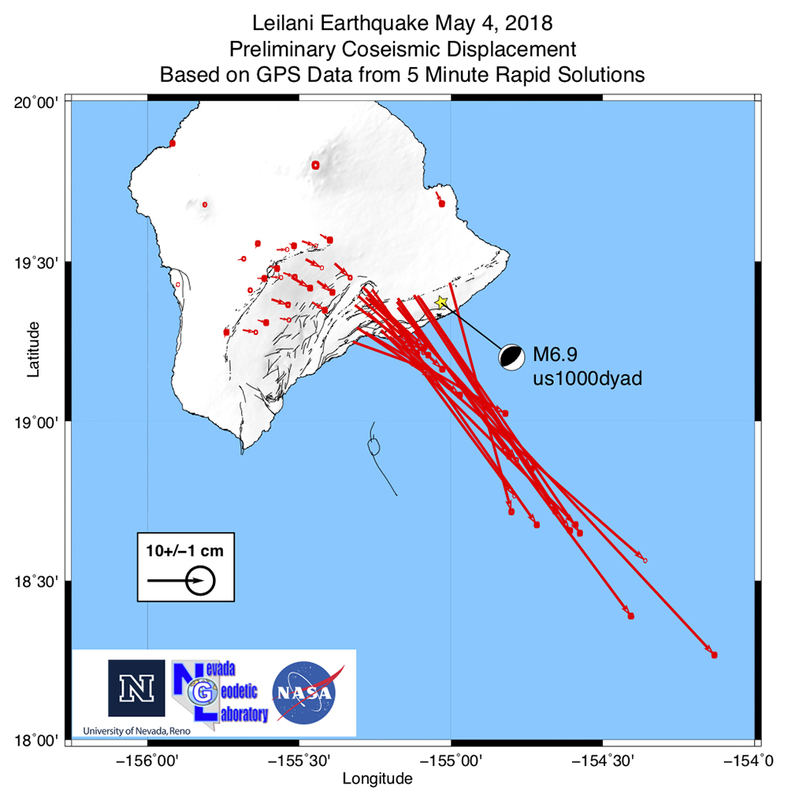 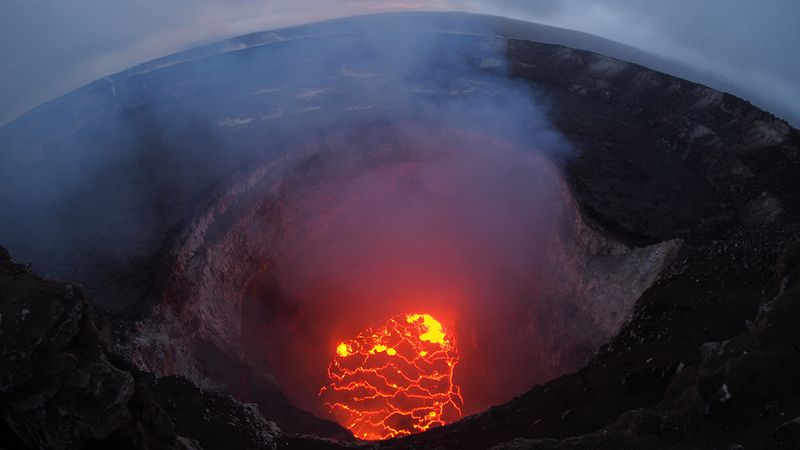 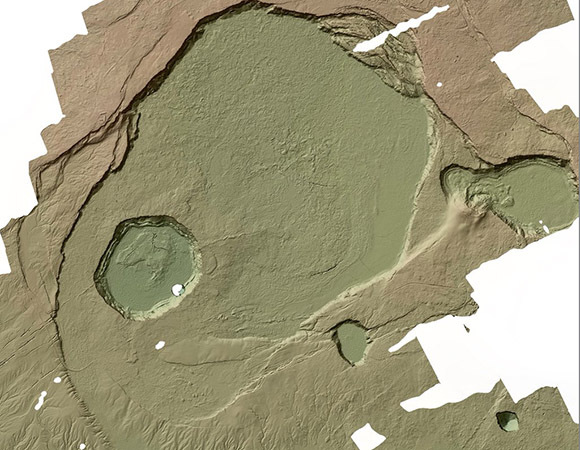 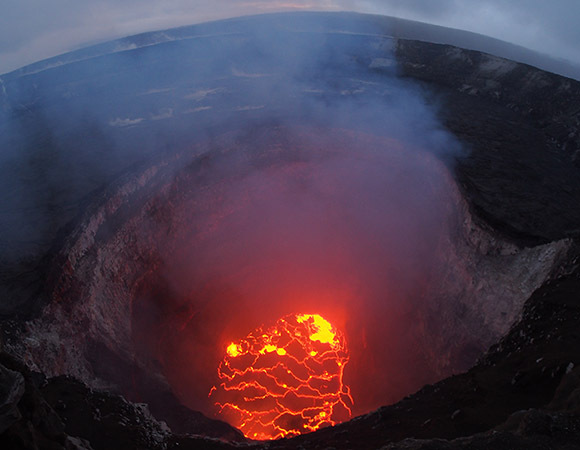 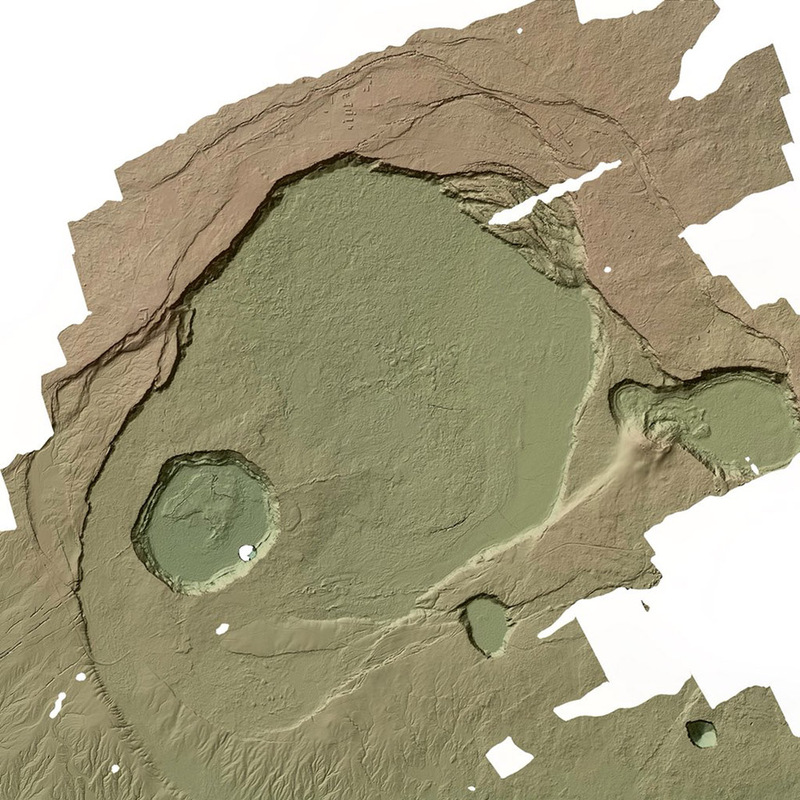 UNAVCO provides ongoing GPS/GNSS data archiving support for the USGS Volcano Hazards Program, including data from stations on Kīlauea Volcano. 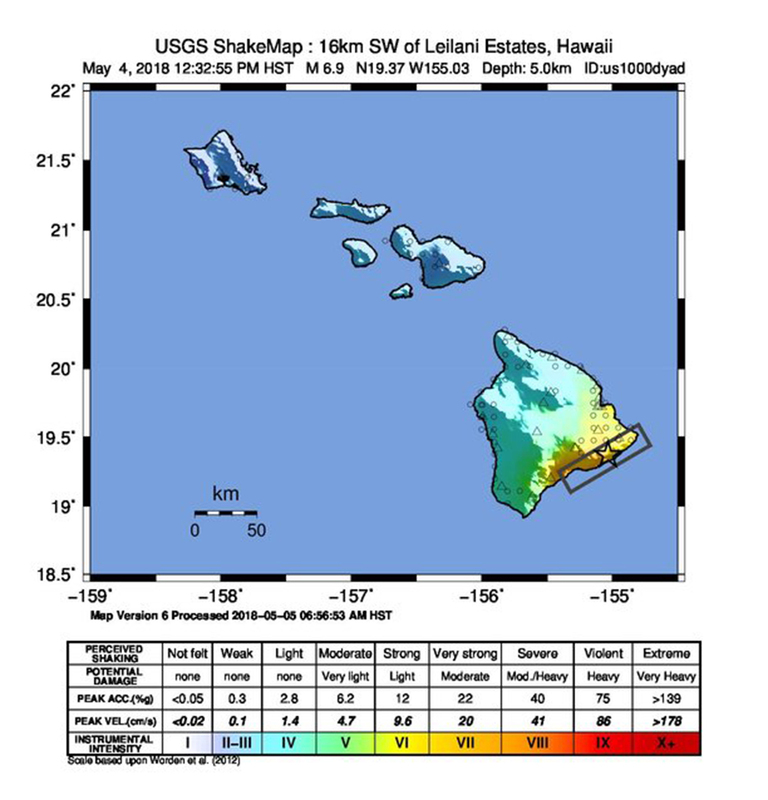 Standard rate data (15- or 30-sec) from stations operated by USGS/HVO, Stanford University, and the University of Hawaii are available from the UNAVCO ftp site for rinex files or DAIv2. 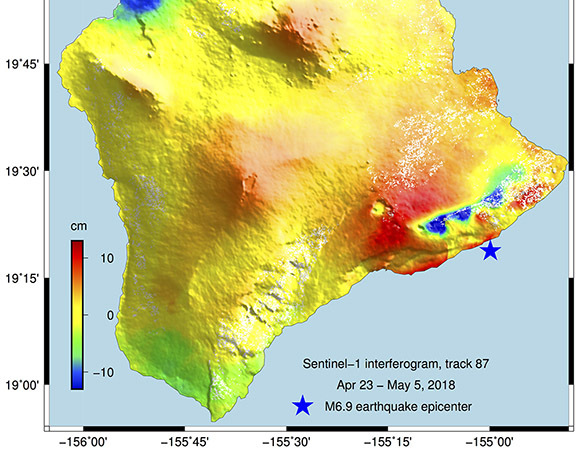 UNAVCO responds to Community requests for support during significant geophysical events such as earthquakes, volcanic activity, landslides, glacial and ice-sheet movements, unusual uplift or subsidence, extreme meteorological events, or other hazards. 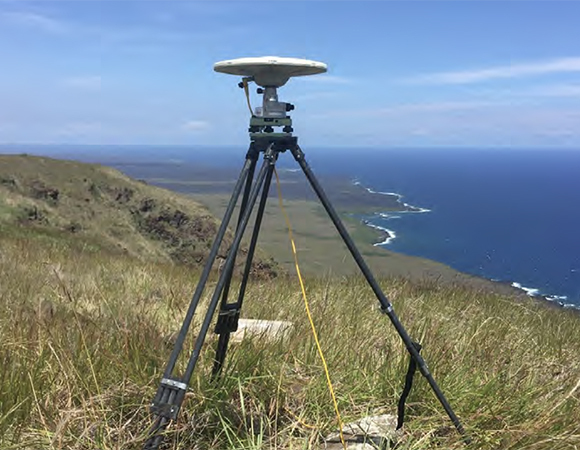 Please contact support unavco.org for information on equipment and engineering support availability.